After completing the HSE Professional SCUBA course students have the chance to pick an optional module in Scientific Diving as part of their academic studies in the 2nd year of their degree. The first half of the module looks at developing personal dive survey and data collection skills including photography, lift bag use, quadrat surveys, collecting water samples and sediment core samples. 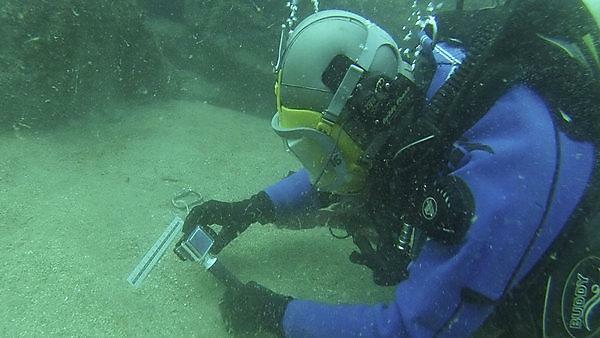 The second half of the module allows students to bring together these skills and put them into practice by designing a dive survey and then undertake the survey themselves. The data collected is then presented allowing for a ‘real-world’ experience of a dive project from start to finish. 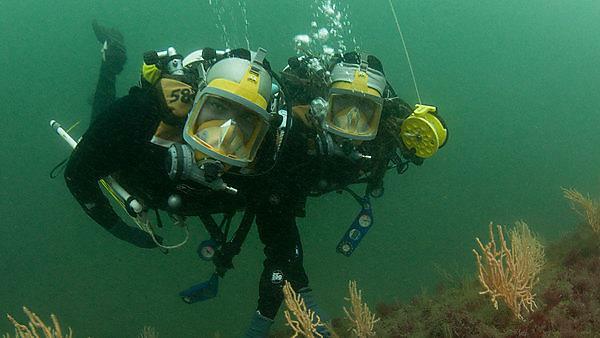 Throughout their 2nd and 3rd year students have the option/chance to participate in various dive projects. These projects may be to assist with ongoing research, to collect data for BSc and MSc projects, as well as projects for external partners including the Marine Biological Association and National Marine Aquarium and others. Apart from assisting on projects students can undertake their own diving projects as part of their final year dissertation.